* Last Kaiju-related films you bought on VHS/DVD/Blu-ray? Re: * Last Kaiju-related films you bought on VHS/DVD/Blu-ray? 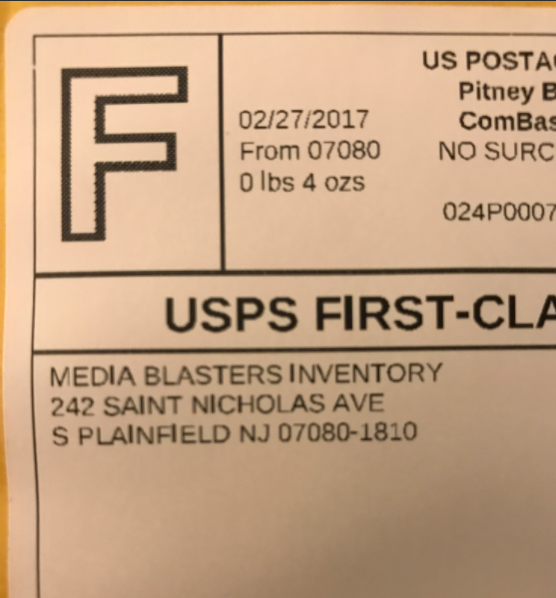 Seems like Amazon just got some copies of the Media Blasters titles as they are up on there for like $30 each. Pricier than I would like, but at this point I can't be picky with FCTW and Space Amoeba. 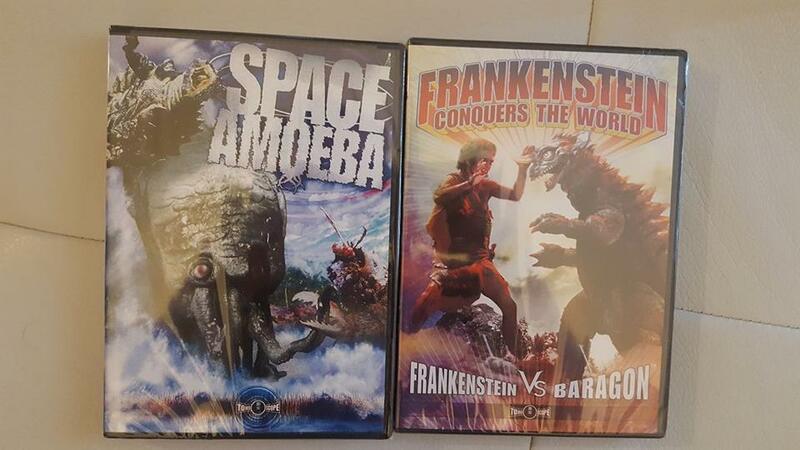 I picked up 3 of the Media Blasters/Tokyo Shock DVDs Frankenstein/Conqers, Dogora, Space Amoeba. All are original discs. I thought they were out of print, so picked them up. My copy of Frankenstein has a glitch when trying to watch the international version from the menu,movie will not play/start. If I start from the chapters it starts the movie after the Japanese army have received the heart. Everything else plays fine. I seem to remember hearing this disc had mastering/authoring problems when it came years ago, so I put off buying the disc, lost track of time and it became out of print. Anyone else remember this? You must've bought those from Amazon right? I did a ton of research and it seems like it's a legit product. Though they're a bit expensive, Toho just announced new blu rays. So I might hold off a bit longer. yes , I got them from Amazon. $29.99 not great, but I've seen much higher prices. Are those Toho announced blu rays coming to the U.S. or just Japan? Just Japan for now, but I'm hopeful. Yeah, Toho just announced them in Japan, but that means nothing for us as they won't even have English Subtitles. Which version of FCTW is the international version? I've only seen the one where he is swallowed by the Earth. 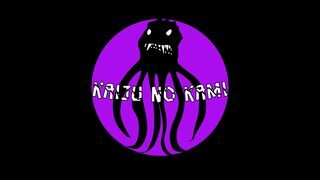 Although, due to the beginning of WotG, the octopus ending probably makes more sense. Japan has the same BR region as us, so you'll be able to view the new (maybe?) special features at least. For English subs, you can probably expect some bootlegs of the new BRs to hit the market. Kaiju no Kami wrote: Which version of FCTW is the international version? The one with the octopus ending. Yes, the International version has the octopus ending. The disc has the Japanese, English and International versions. The octopus ending is also an extra. Hopefully Son of Godzilla will see a blu ray release soon. I only have the old VHS tape. But it does have the Titra english dub. UltramanGoji wrote: For English subs, you can probably expect some bootlegs of the new BRs to hit the market. I will never buy a bootleg. If I have to pirate, I will download it for free. However, I see no reason to do so since official copies have been released in the US even if it is DVD. Damn, didn't grab Atragon when it was available and now it's gone from Amazon. Looks like those Tokyo Shock ones are going fast. Latitude Zero is under $20 right now. If Amazon is sold out, check eBay. I got my copy of Atragon there recently for less than $30. Yeah, I'm super skeptical of buying on eBay. Feels so easy to get a bootleg. Mr. Yellow wrote: Yeah, I'm super skeptical of buying on eBay. Feels so easy to get a bootleg. YES!!! My Media Blasters Toho collection is finally complete (at least, I believe they only did 8 movies). Sellers aren't going to tell you the truth. I got a Supergirl Season 1 BD for Xmas that one of my friends bought off ebay, but it was a bootleg. The discs were black colored, the episode booklet was improperly folded, there were no disc menus, there was no digital copy included or even listed on the packaging (like it is on EVERY CW package), and the slipcase that was wrapped up had a deformed front as if it was bent in the printing process or something sticky got stuck to it. The seller swore it was a legit copy and he had a 99% positive. Kaiju no Kami wrote: Sellers aren't going to tell you the truth. I got a Supergirl Season 1 BD for Xmas that one of my friends bought off ebay, but it was a bootleg. The discs were black colored, the episode booklet was improperly folded, there were no disc menus, there was no digital copy included or even listed on the packaging (like it is on EVERY CW package), and the slipcase that was wrapped up had a deformed front as if it was bent in the printing process or something sticky got stuck to it. The seller swore it was a legit copy and he had a 99% positive. I can guarantee that you'll be getting an official release and not a DVD-R, at least for Atragon, Latitude Zero, and Dogora. Now if that isn't a big enough confirmation, I don't know what is. Yes, but I shouldn't have to. It is a hassle just to return something from ebay.